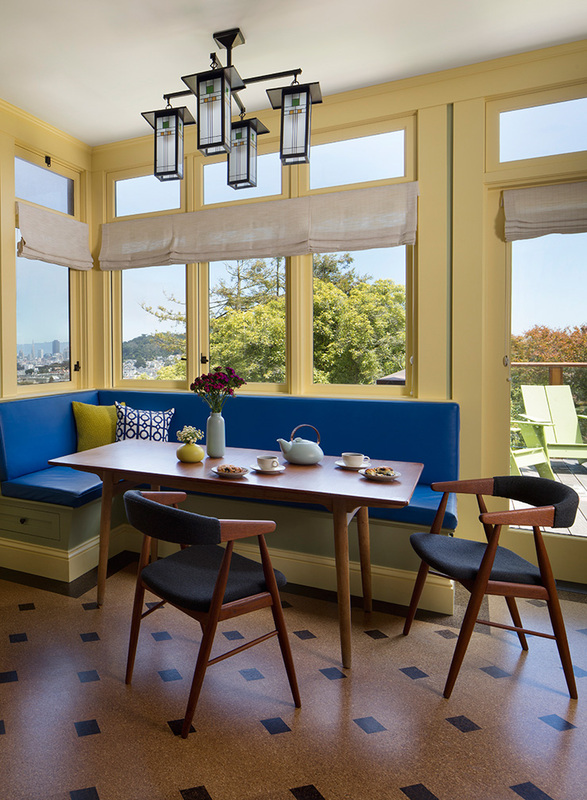 Cole Valley Family Abode — MODTAGE design. This family of six set out to expand their Arts & Crafts style home adding 1000 square feet to the existing footprint. 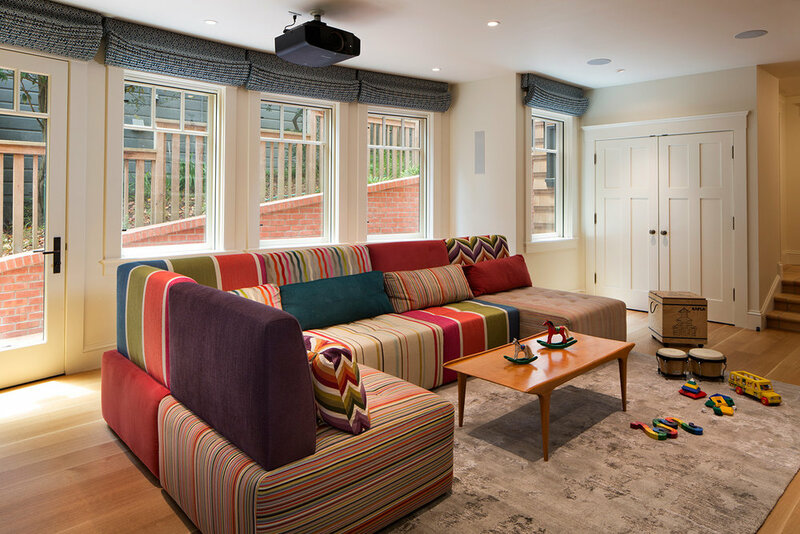 The addition created space for a new Family Room at the lower level, expanded the Living Room to accommodate large gatherings at the main level & added a bedroom and additional space for a Master Suite to the upper level. 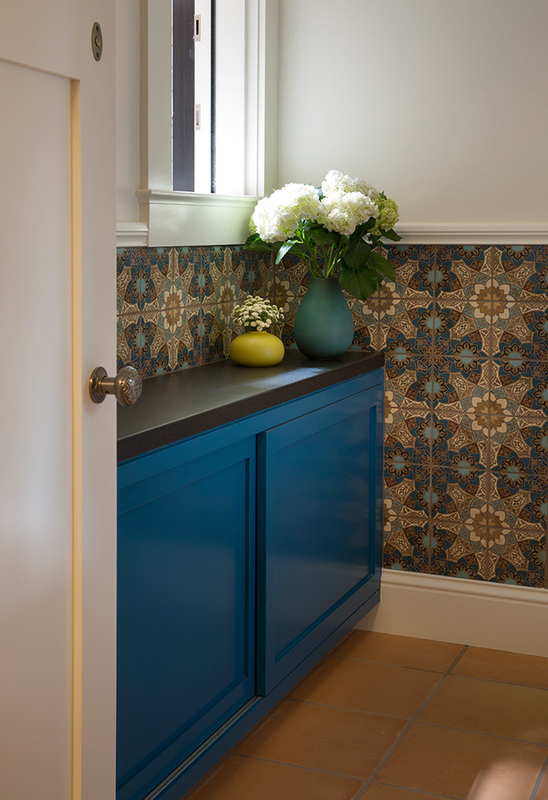 MODTAGE design was brought in to help complete and refine the interior spaces of the home, developing a cohesive and modern-day interior that relates to the architectural origins of the early 1900's home. The 5500 square foot renovation touched almost the entire home with the exception of a few key elements. 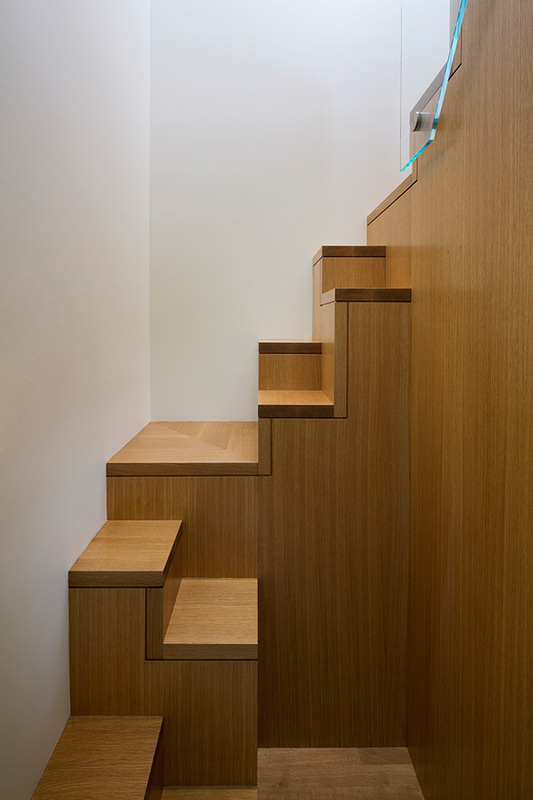 MODTAGE design worked together with the Architect to further define the floor plans to meet the clients needs, fine tuning them to incorporate the minute details of finish work, architectural niches, custom millwork and storage solutions. The families love of books lead to an increased demand for built-in bookcases throughout the home. Every vertical surface was considered to accommodate the many books the family treasured as well as the their lovely art collection. MODTAGE design selected interior finishes, fixtures, lighting, furnishings and window coverings. 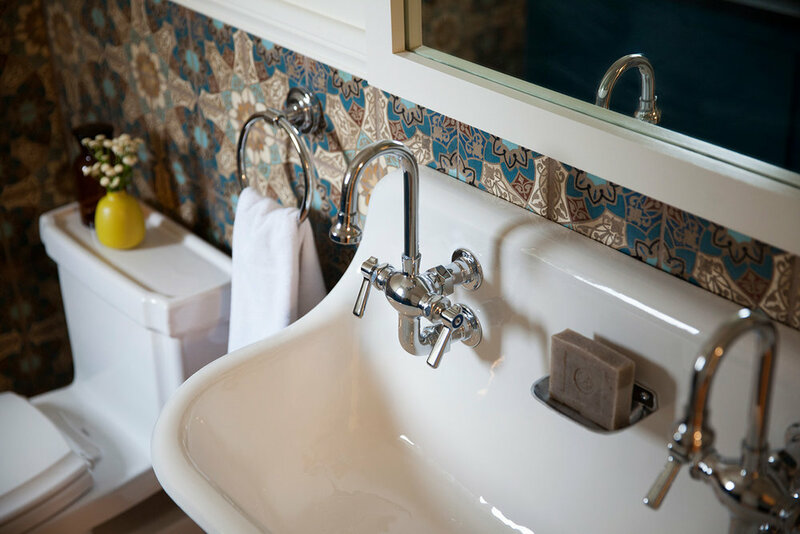 Extensive custom tile work was provided for a unique solution for each bathroom. 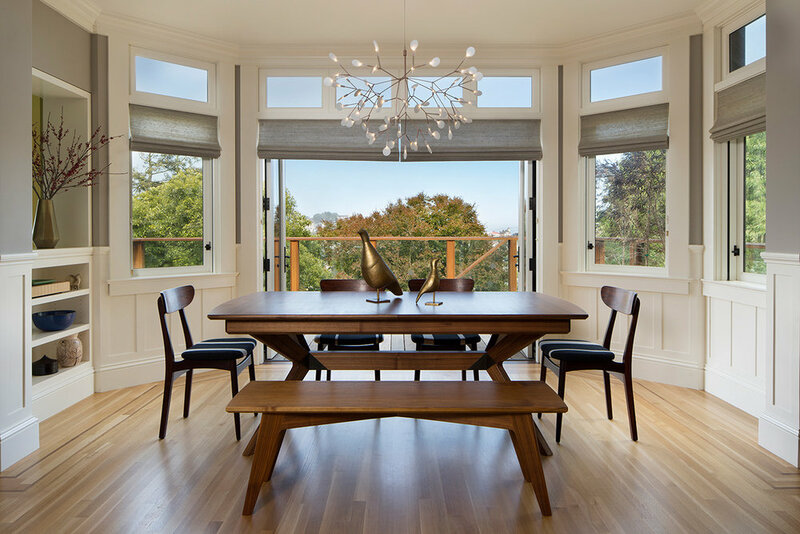 A custom designed walnut dining table expands to ten feet to accommodate large gatherings of family and friends while vintage chairs provide a comfortable, light and airy feeling to allow the eye to be drawn to the panoramic views of the Bay. The bespoke modular sofa at the Family Room is designed to hold the entire family. The bright and playful pieces can be reconfigured for game night or arranged for optimal comfort while enjoying the large projection screen. 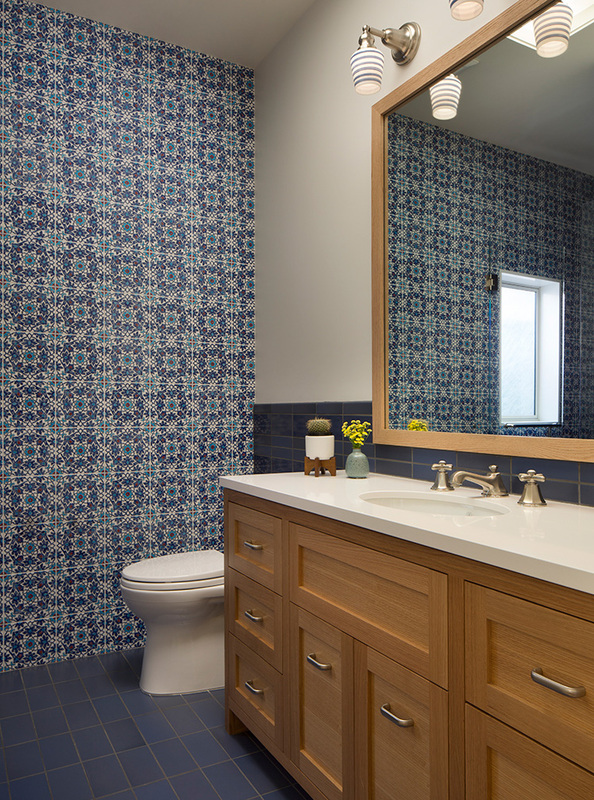 The family embraced the use of vibrant colors & patterns throughout the home.